What Does Jeremiah 31:31 Mean? 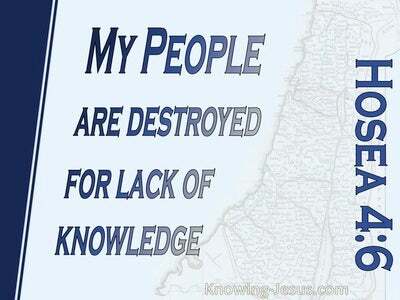 He was also one of many prophets who spoke of Israel's restoration to the land. He prophesied that the captives of his people would be regathered back to their homeland. He spoke of the time when the country would be restored, and God would make a New Covenant with the house of Israel and the house of Judah. 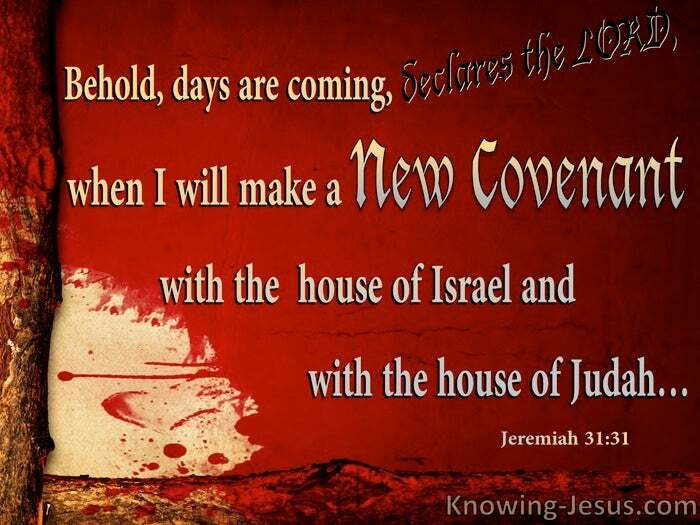 “Behold, days are coming,' declared the Lord, through the mouth of Jeremiah, 'that I will make a New Covenant with the house of Israel and with the house of Judah'. Following the kingship of David and Solomon, the nation of Israel was divided, into northern and southern segments. But a day is coming when these divided kingdoms will be reunited, and God's New Covenant with His chosen nation will be confirmed and ratified. At the time of this prophecy, the northern Kingdom of Israel, had already been conquered and dispersed by the Assyrians, and Jeremiah's painful prophecy, spoke of the fast approaching Babylonian occupation of the southern Kingdom of Judah. As His chosen nation, Israel had made a conditional treaty with the Lord, at Sinai. 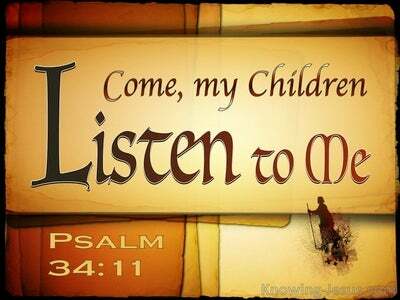 They had promised to obey all that God said, and the Lord promised blessings for obedience, but curses for disobedience. The Old Covenant, given through Moses, was sealed with the blood of several oxen... however, the nation had strayed far away from the agreed terms of their treaty with God, Who was obliged to carry out His sworn punishment, on His errant nation. 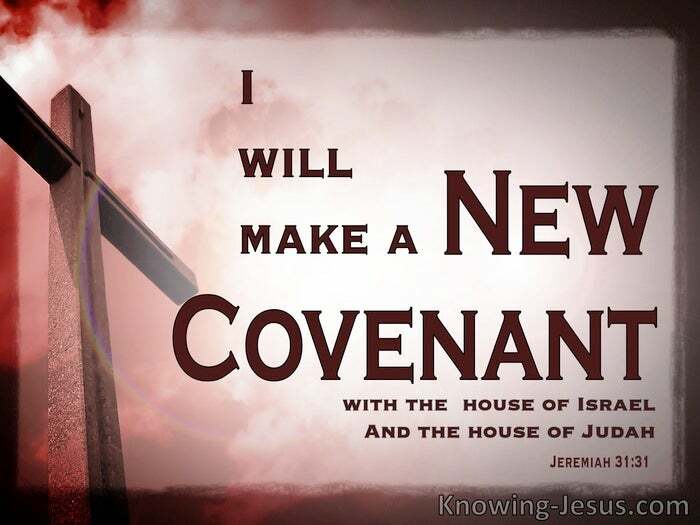 Jeremiah's prophetic writings, however, placed hope in the heart of the little faithful remnant, for the Lord promised to make a New Covenant with a united Israel. It was God's intension to unify the two disconnected kingdoms once again, and bring them back to being ONE nation under the authority of God's anointed King, Whom we know to be - Jesus. God's New Covenant with Israel was cut at Calvary. Unlike the Old Covenant it was not sealed with the blood of bulls and goats. There were no condition that Israel had to meet. 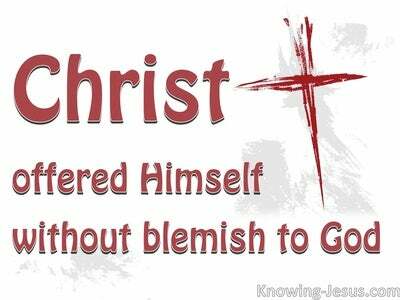 The New Covenant that God made with His people was an unconditional covenant, and God made it through the precious blood of Jesus Christ, the only begotten Son of the Father. The Old, conditional Covenant, required Israel to keep God's Law, but the New unconditional Covenant required nothing from Israel, except faith in God and Jesus Christ, Whom He sent. As members of Christ's body, in this church dispensation, we have been wonderfully blessed by this New Covenant, which God gave to His people, Israel. Indeed, we have become ministers of God's New Covenant, and are recipients of the multiplied blessings that come on all who believe on the name of Jesus.. by faith. God's New Covenant, which He made with the united kingdoms of Israel and Judah, have brought on the gentile nations, great blessings, for it is the Lord, Who has reconciled US to Himself, by the blood of Jesus Christ, and has given to US the ministry of reconciliation, during this dispensation of the age of grace. Although the New Covenant was cut in Christ's blood, it has yet to be fully and finally ratified, with Israel.. however, the time is coming when the New Covenant, which was cut at Calvary, will be fully confirmed - when Israel as a nation will call on the name of the Lord for salvation. They will look on Him Whom they pierced, recognise Jesus as their Messiah King - and together will cry out in praise and thanksgiving: blessed is He Who comes in the name of the Lord. 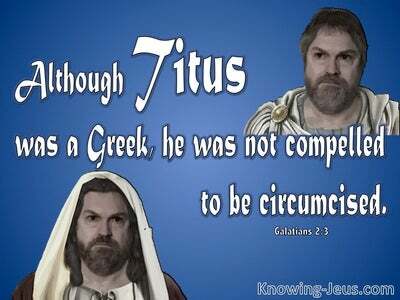 The Old Covenant, which was conditional on Israel keeping the Law, was replaced at the CROSS with a new and better covenant, which was cut with the blood of God's only begotten Son. This New Covenant is unconditional, and stands on God's WORD - by grace alone, through faith alone, in Christ alone as recorded in the Word of God - alone. Heavenly Father, what a great and awesome God You are. Your faithfulness to Your people Israel, and the promises You have given them are beyond our understanding. Thank You that Jesus came to earth as the Messiah of Israel and Saviour of the gentile world.. and that through faith in Him, I have become Your child. Remove the blinkers from the eyes of Your chosen people, through Whom was born my own, precious Saviour, Who died for my sins and rose again - so that I too may rise into life immortal. We look forward to the day when Your New Covenant with the united kingdoms of Israel and Judah will be fully and finally ratified - when the earth will be subjected to Christ's kingdom of righteousness and justice. Thank You in Jesus name AMEN.